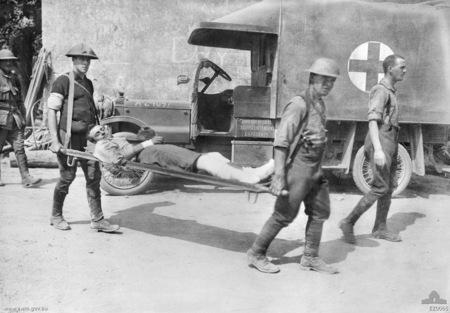 Transporting the wounded is a grim reality of war. In the case of WWI, the wounded numbered in the millions. 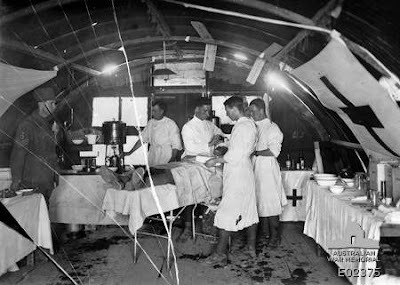 If they were to survive, it was very important to evacuate them from the battle zone to the rear, so they could receive medical care. After they were initially carried by stretcher bearers, eventually they would reach an ambulance, that would carry them the rest of the way, to life saving treatment. 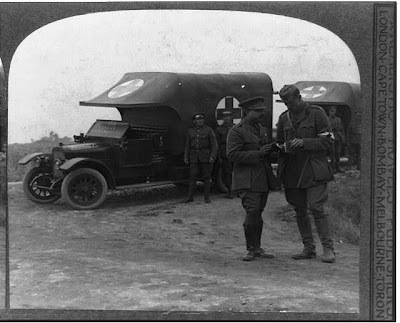 During the time that WWI occurred, the world was in a transitional period, where they phasing out horse drawn wagons, to motor vehicles. 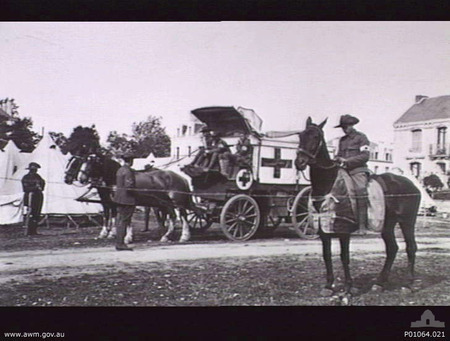 Even though motor vehicles were a much better option, many horses were still in use during the war. ST Nazaire, France, 1914. Horse drawn ambulance in front of an Australian Hospital. 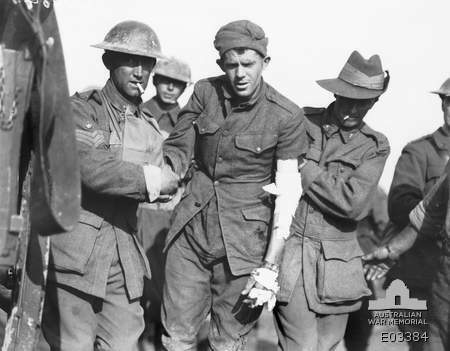 Stretcher Bearers carry a badly wounded Australian Soldier, France, 1916. This is a rare photo of a WWI Air Ambulance. 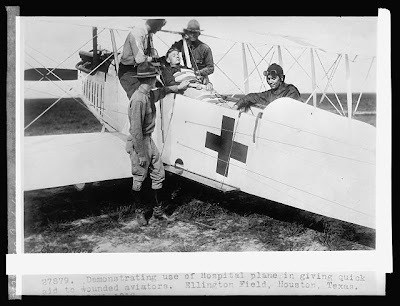 The photo was taken at Ellington Field, Houston, Texas. 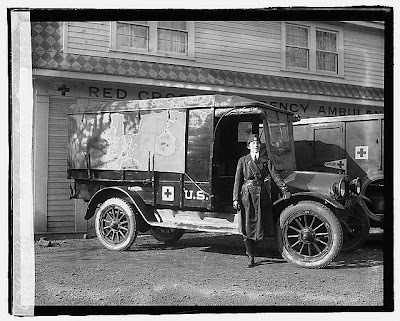 American Red Cross, WWI era ambulance. 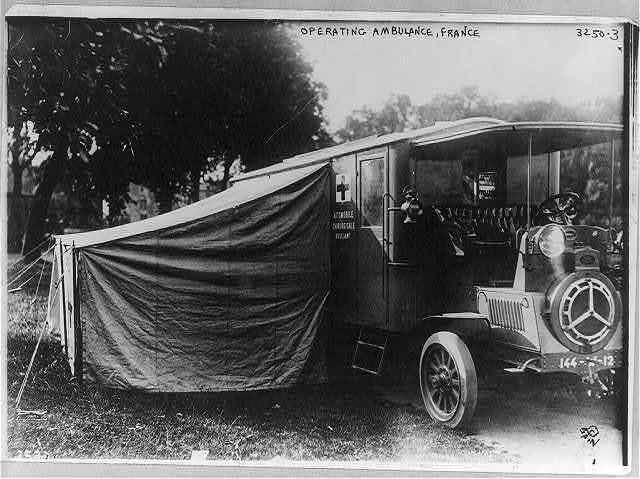 This photo shows and "Operating Ambulance", France 1914. This photo taken August, 1918, shows 2nd Division Army Medical Corps Stretcher bearers carrying wounded from a motor ambulance. This photo shows 13th Australian Field Ambulance advanced dressing station with a soldier being operated on. This photo taken September 30, 1918, shows Australian soldiers helping a wounded American soldier. 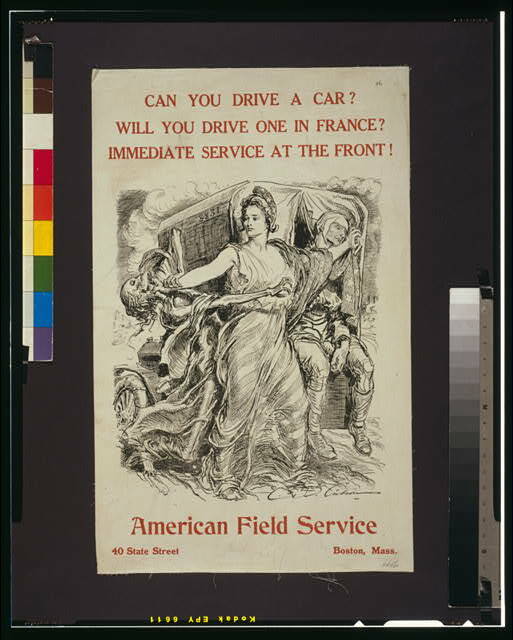 This WWI recruiting poster, appealing for those who could drive a car, to do so in France. 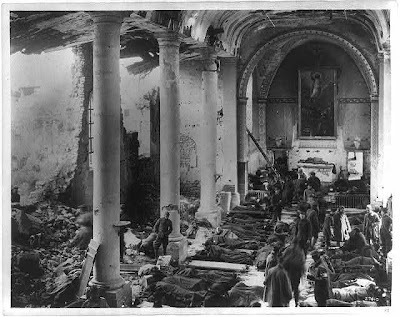 This Army Field Hospital was set up in the ruins of a church, 1918. 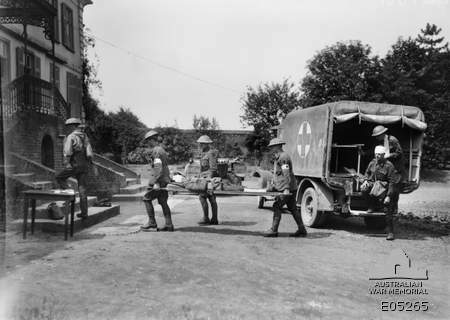 German soldiers receiving medical treatment from the 103rd, and 104th Ambulance Companies, September 12, 1918.